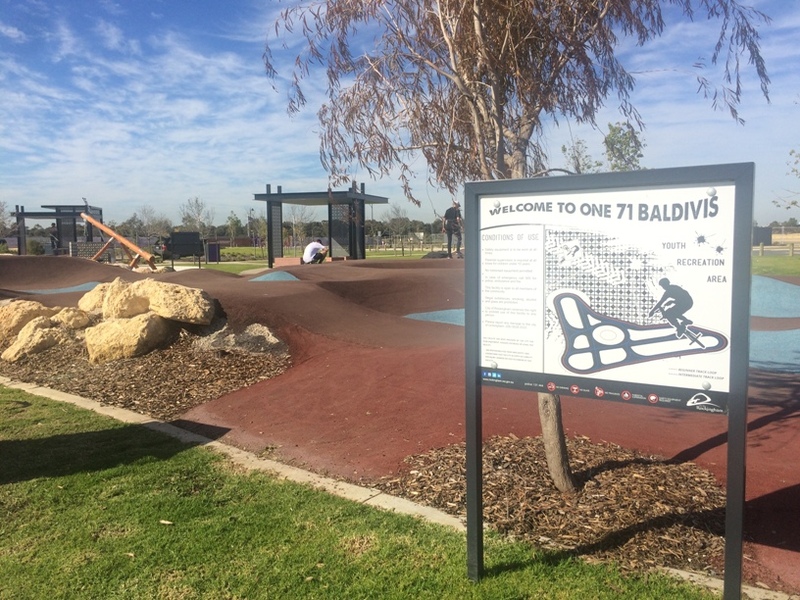 The Baldivis One 71 Pump Track Park features a fantastic bike track, playground and plenty of grassed area to run around, so it's fun for the whole family. 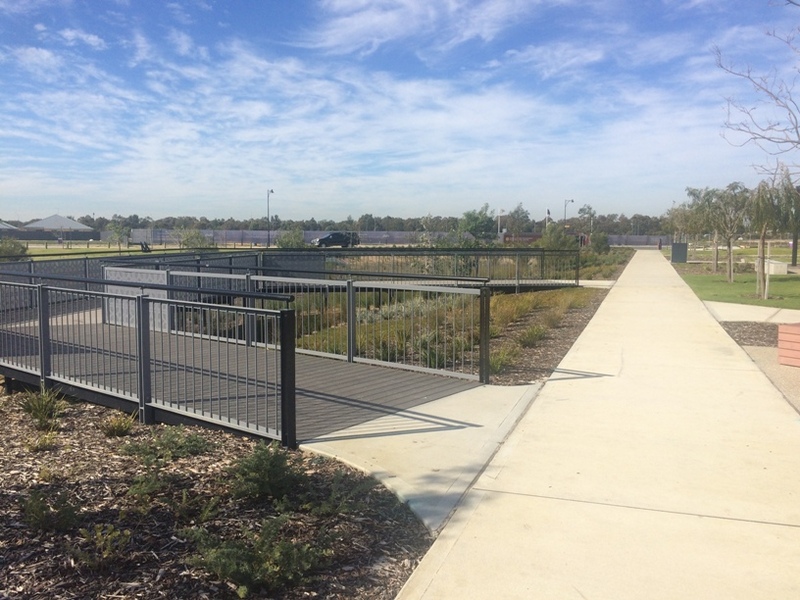 The Baldivis One71 Youth Recreation Area bike track is constructed on concrete and soft fall and feature lots of mounds, inclines and a mini bowl. 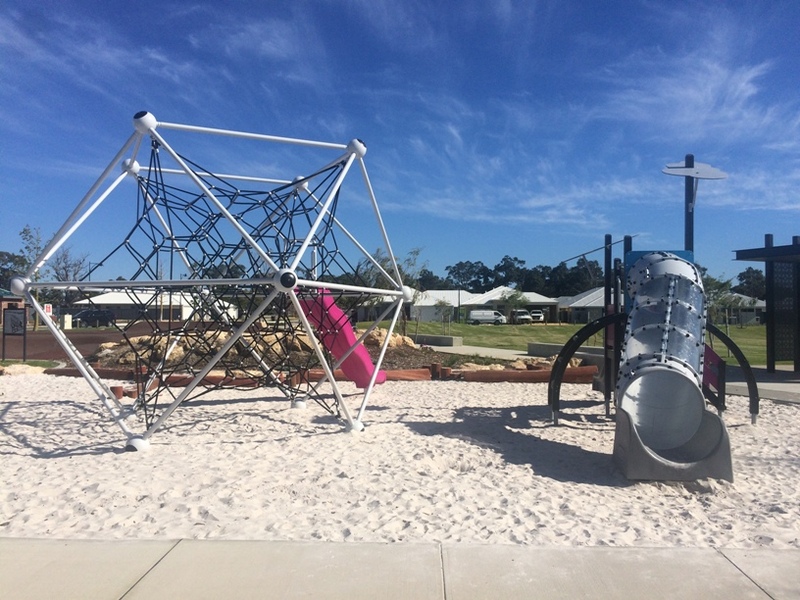 The playground is located right alongside the bike track. This is great for those who need to supervise big kids on the track and little kids at the playground at the same time. 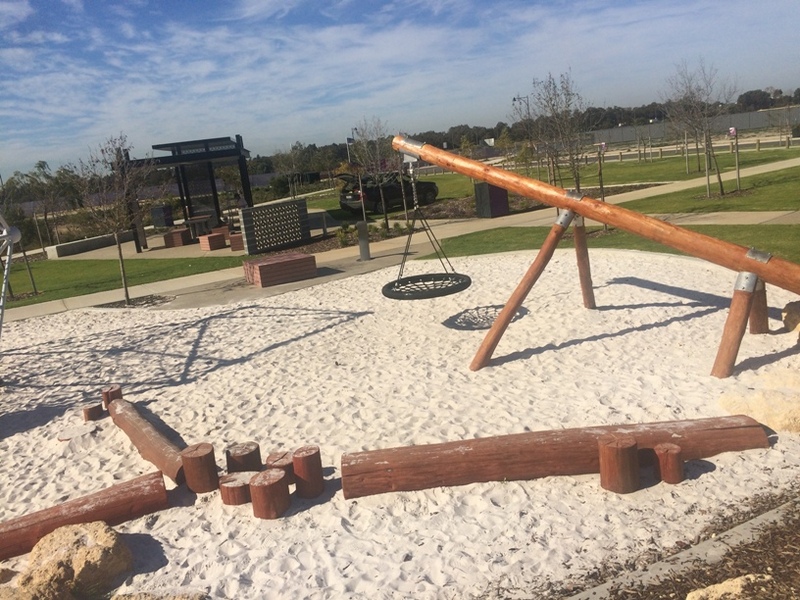 It's a nice compact playground, all located in the one area alongside the bike track and features a toddler play structure, dome climbing frame with slide, balancing longs and a wooden bird nest swing. 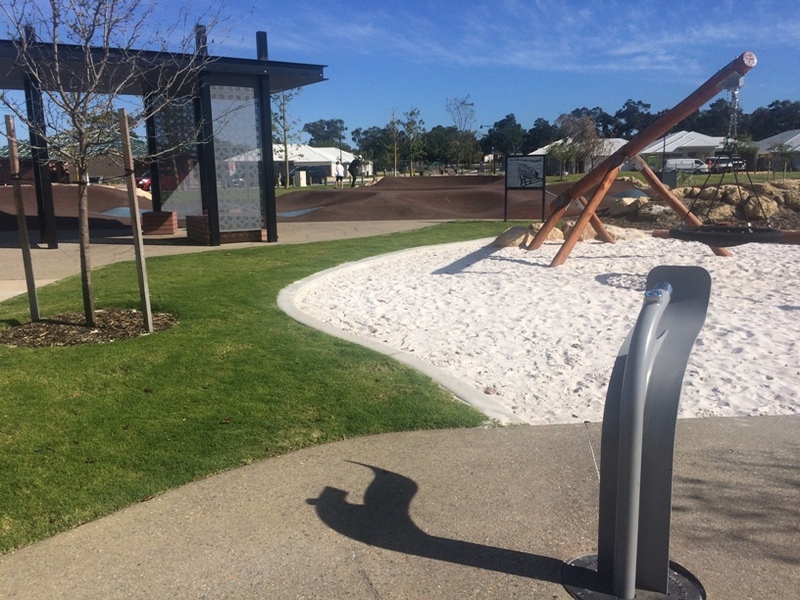 For little ones who don't quite have the confidence for the bike track, there are plenty of pathways around the playground to get in some bike or scooter action. 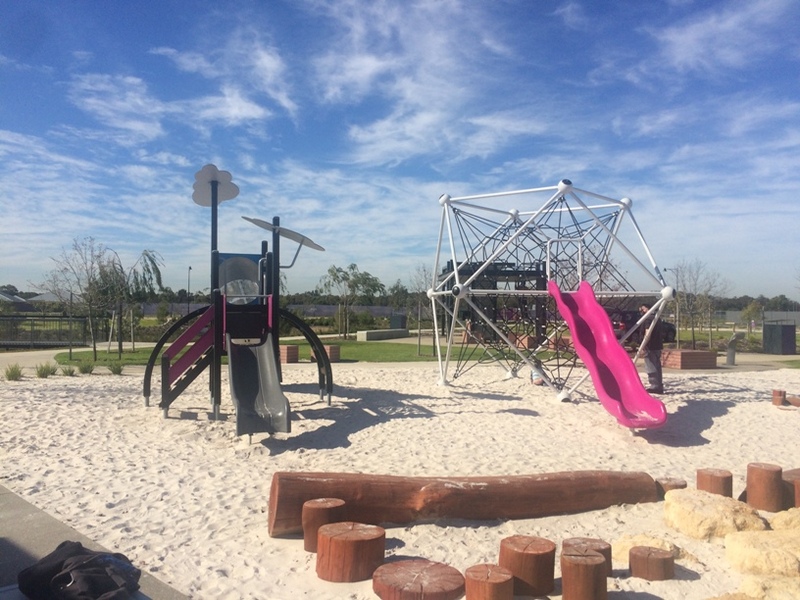 If you want to stay a while or meet with friends, there is a picnic shelter and BBQs close to the playground and bike track. There are no toilets at this park however. 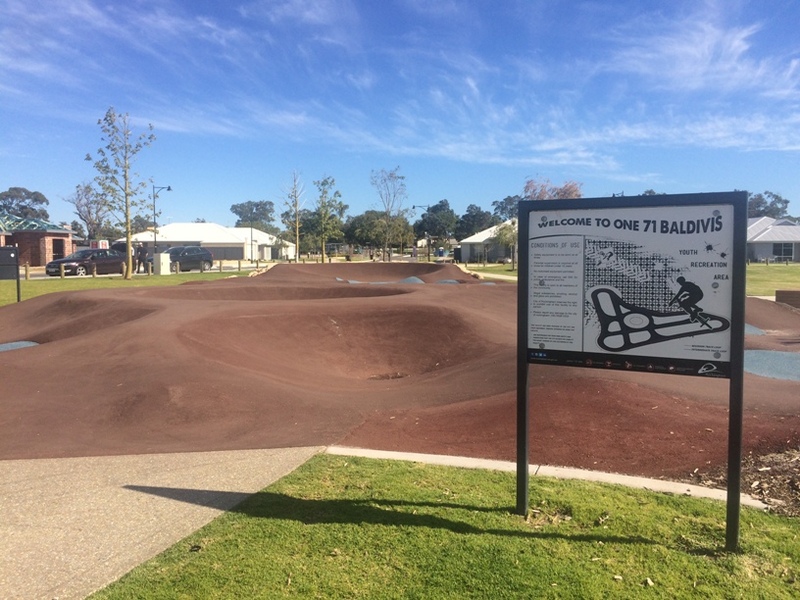 If you are looking for somewhere to take the kids for a skateboard, or to ride their bike and scooters as well as enjoy a play, you'll love Baldivis One71 Pump Track Park. It's not too big so it's easy to keep track of the kids and is lots of fun for the whole family.